Paleo-artist Josh Cotton (who we had the pleasure of interviewing in Ultrasaurus/Ultrosaurus – Episode 21) has drawn us this magnificent Allosaurus! Josh told us he’s doing an ink and watercolor version, emulating William Stout, one of his paleo-art heroes. 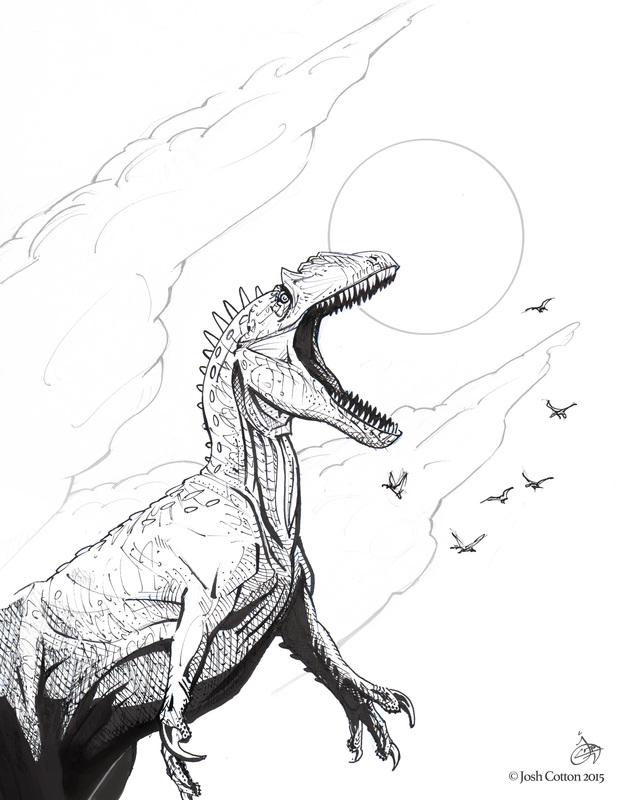 This ink piece will be featured in an exhibit that opens today at the Treehouse Children’s Museum in Ogden, Utah alongside “Dinosaurs: Land of Fire and Ice.” Josh is co-exhibiting with Michael Goodwin, a paleo-artist who has done some excellent work with airbrushing.